Chris Crass calls on all of us to join our values to the power of love and act with courage for a world where Black lives truly matter. A world where the death culture of white supremacy no longer devours the lives of Black people and no longer deforms the hearts and souls of white people. 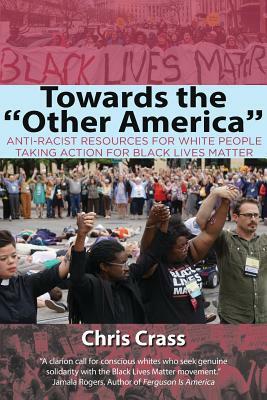 In addition to his own soul-searching essays and practical organizing advice in his "notes to activists," Chris Crass lifts up the voices of longtime white anti-racist leaders organizing in white communities for Black Lives Matter. Crass has collected lessons and vibrant examples of this work from rural working class communities in Kentucky and Maine, mass direct action in Wisconsin and New York, faith-based efforts among Jewish communities, Unitarian Universalists, and the United Church of Christ, and national efforts like Showing Up for Racial Justice (SURJ) and Jewish Voice for Peace.